All posts tagged "brittany McQuain"
After struggling in the first half, the women’s basketball team outscored Monmouth by five points in the second, but lost 62-56 to the Hawks Monday night at TD Bank Sports Center. 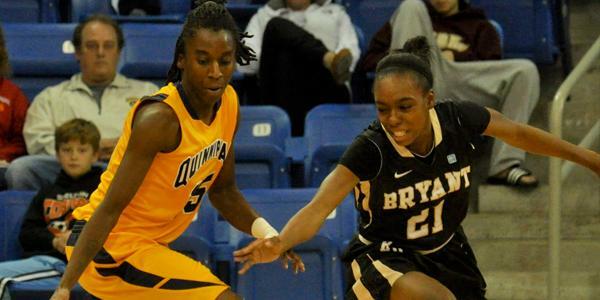 Monday night was not a Northeast conference playoff preview, but Quinnipiac head coach Tricia Fabbri believes the way her club played against Bryant will be. 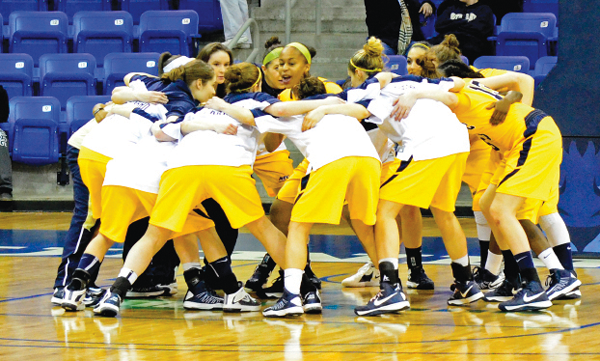 The Quinnipiac women’s basketball team opened up its 2010-11 season Friday night in Fairfield, falling to the Stags 65-48.